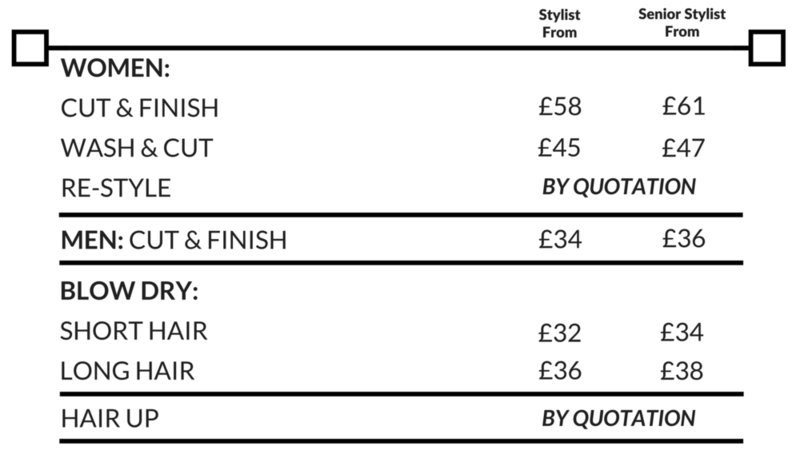 Our below prices are a guide and may vary according to hair type. Our pricing structure is based on the experience and regular training development of our stylists. Consultations are complimentary.